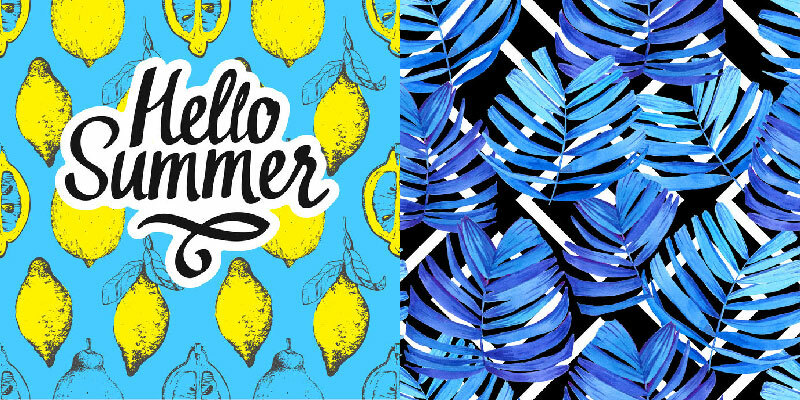 Trendy patterns, realistic florals, punchy, hand-drawn fruit with bright tones – we’re in. Need a vibrant banner that catches eyeballs and generates attention? Olga Konstantynovska is a Ukraine-based illustrator, also known as monamonash on 123RF. 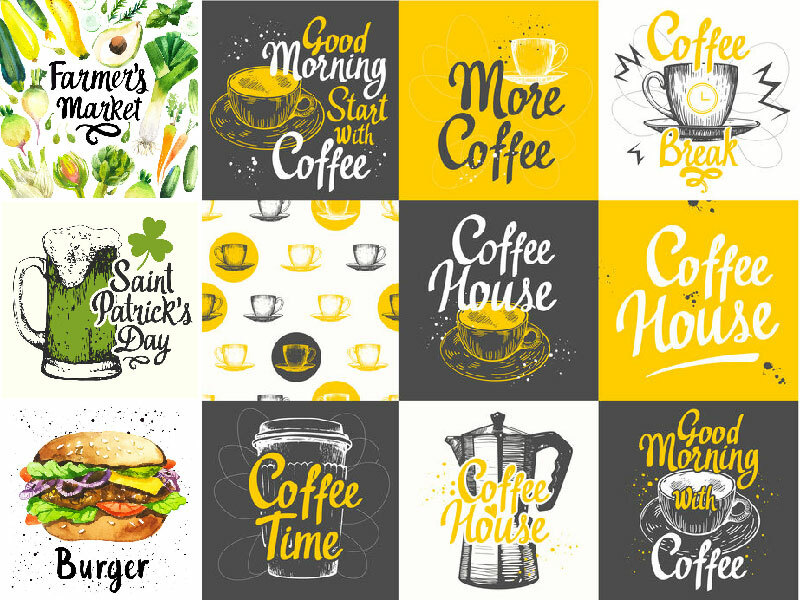 Her stock portfolio has the perfect collection of hand-drawn vector art to spark inspiration for all your design needs. I am an artist and for the most part, I perceive information visually with my eyes. I like visuals to change and sometimes I need silence and peace. Behold nature and inspire a variety of natural forms, textures, and colors. But from time to time I need the eventful days, to walk around the city, popping into the cafes, parks, and markets, talking to people, observing the life bustle. Olga likes drawing sketches with pencil, markers or watercolor paints and then processing the images with graphics software. 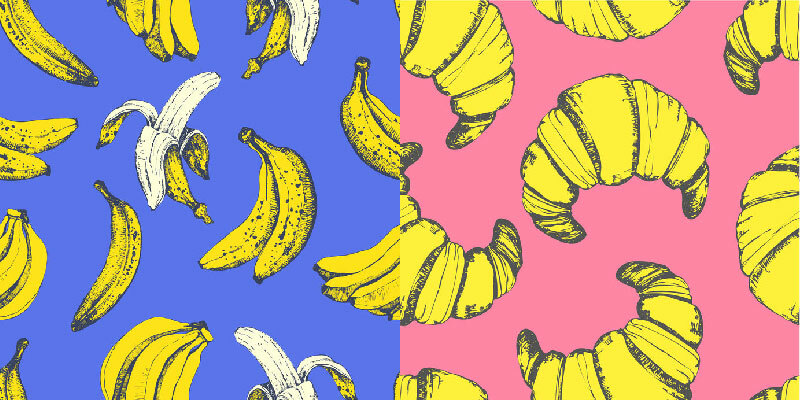 Discover her food-themed illustration collection that’s watercolor and chalkboard-ready! These are perfect for restaurant menus or interior decor for a cafe. Know someone who’s a foodie blogger? Tell them about Olga’s artsy collection so they can spruce up their blog space or social media posts. You should keep in mind that there is always room for improvement. Continue learning, improve your skills and gain new knowledge. Try to enjoy your job because illustrations made from the heart and full engagement will always stand out. Plant patterns with interesting shades of green are what caught our eye. These are great for wall prints and posters for unique decorations as a focal point that can make an interior space really stand out. 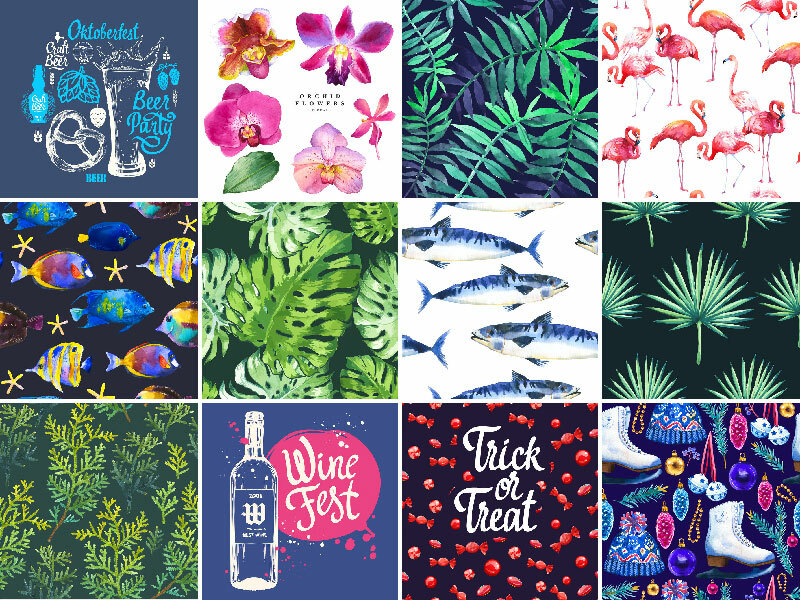 Olga’s choice of realistic colors also proves to be a great reason why their works are suited for textile prints. Discover more of Olga’s works on her 123RF portfolio today! Inspired yet? Sign up with us as a contributor, and start earning from your own creative content.